The Microsoft Cortana personal assistant app for iOS is getting redesigned through an update that The Verge says is rolling out now. Besides offering users a new look, the listing in the App Store notes that Cortana will now be more conversational, and the app will now allow iOS users to manage and setup devices that offer support for Cortana. That would include the upcoming Cortana enabled Surface Headphones, set to launch on November 19th. The update also gives Cortana the ability to play podcasts and listen to music, just in time for the release of the aforementioned headset. Cortana also will help iOS users join meetings conducted with Microsoft's Skype or Teams apps. Tasks and questions that you want Cortana to handle or answer can be typed or spoken to the virtual personal assistant, and Cortana will help iOS users access their calendars, to-do lists, meetings, emails and reminders. 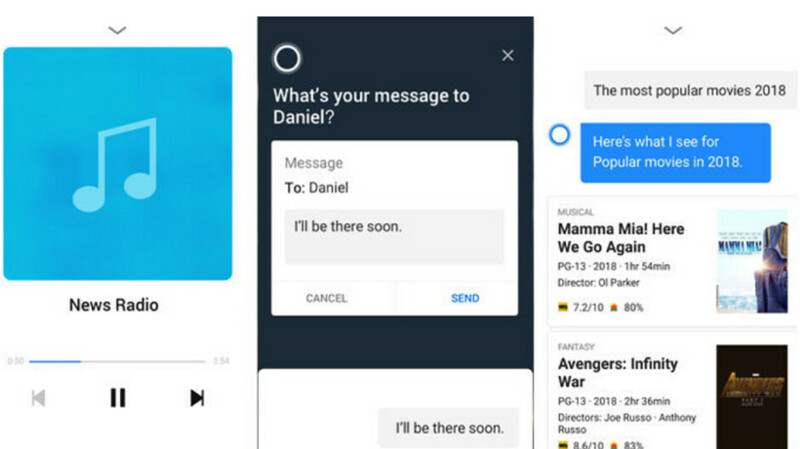 With the redesign, Cortana users open the app to a single page named "Upcoming," that shows an outline of the user's day ahead. Slide-in menus on the right side of the app are used for reminders and lists. If interested in installing version 3.0 of Cortana for iOS, or grabbing the updated version, click on this link.